Your little hotel in the heart of the Dolomites! Welcome to Hotel Piccolo Pocol! The unforgettable natural landscape surrounding Cortina d'Ampezzo is a real tonic for the soul. 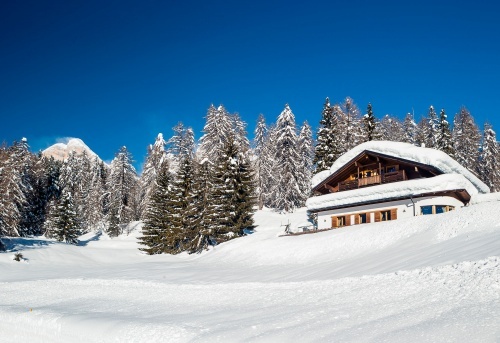 In an ideal position for the ski pistes, the warm welcome and family atmosphere make it your perfect holiday spot. 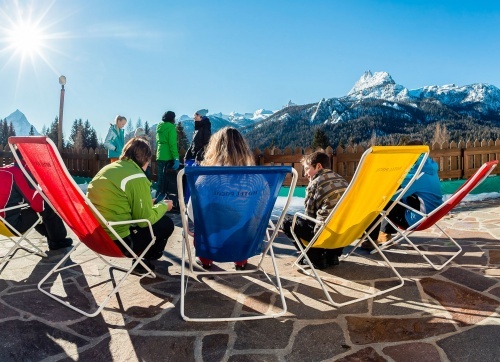 Just 10 minutes by car from the vibrant centre of Cortina d'Ampezzo, Hotel Piccolo Pocol is ideally placed for exploring all the attractions of the Queen of the Dolomites, 365 days a year! ... and to the family atmosphere of Hotel Piccolo Pocol! Our rooms are furnished in natural wood whose soft lines create the warm, enveloping ambience so typical of mountain hospitality. In the morning a generous buffet breakfast awaits you in our delightful breakfast room, providing all the energy you need to tackle an active day on the ski slopes, riding the bike trails or following the footpaths of the Dolomites. On your return you can relax in the sauna or Turkish bath or sip a well-earned aperitif enjoying the stunning view from the sunny terrace. Choose Hotel Piccolo Pocol for the simple pleasures of a peaceful holiday in the Dolomites.